Originally published by Unistoten Camp Facebook page. These sites must be assessed by archaeologists and by our own knowledge-keepers before any more destruction takes place. We do not want to find the bones of our ancestors dredged up by CGL bulldozers. CGL has failed to produce any evidence of archaeological work for their man camp site on Unist’ot’en territory to our Dini’ze and Tsake’ze (Hereditary Chiefs), the BC Oil and Gas Commission, BC Environmental Assessment Office, or the BC Archaeological Branch. They are blatantly violating the conditions of their permits, while regulatory officials and RCMP look on. The Wet’suwet’en proved in the Delgamuukw-Gisday’wa court case that we have never ceded our lands, that our sovereign rights to these territories have never been extinguished, and that our Dini’ze and Tsake’ze are the Title Holders to our 22,000 square km territory. Our Dini’ze and Tsake’ze are the highest authorities on these lands, and our Anuk Nu’at’en (Wet’suwet’en Law) is the highest law of this land. As powerful corporations are being permitted to freely violate Canadian law, Wet’suwet’en law must be enforced and upheld. We call for supporters across BC and across Canada to occupy their MLA’s and MP’s offices beginning on Thursday Jan 31, and continuing until CGL is forced to stop its illegal work. Flood the phones and inboxes of the ministers responsible, and demand that Coastal Gaslink immediately cease construction. The invasion, occupation, and destruction of our territories by CGL and RCMP will no longer be tolerated. 2) Flood the phones of your local MPs and MLAs, including Green Party MLAs, who hold the balance of power and whose silence on this issue is abhorrent. To connect with MLAs in BC, visit: https://act.leadnow.ca/call-BC-support-wetsuweten/. To connect with MPs across, visit: https://act.leadnow.ca/call-federal-support-wetsuweten/. 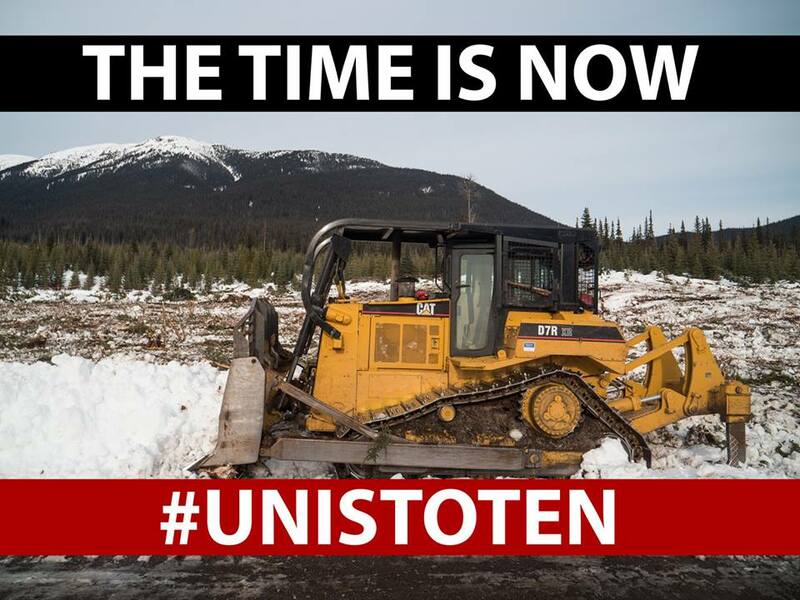 3) Occupy your MP’s and MLA’s offices starting on Thursday Jan 31 and continuing until they immediately stop illegal work on Unist’ot’en territory.